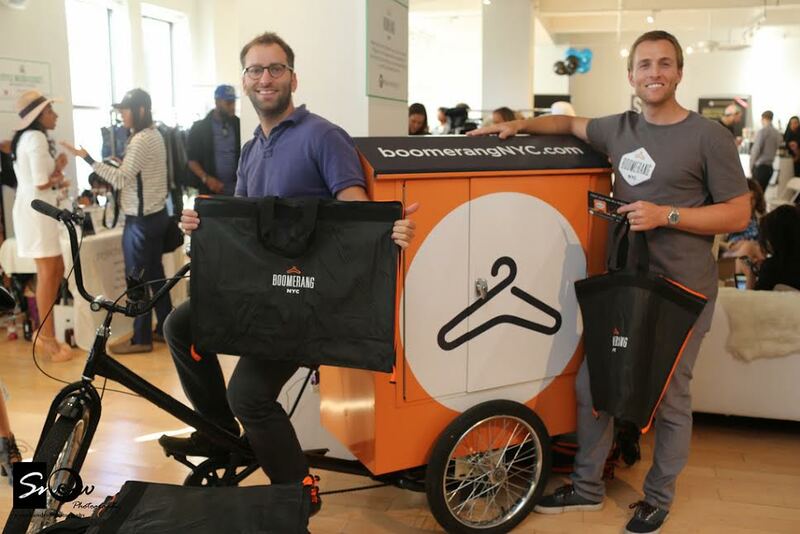 Marc and Gregg Klein are the co-founders, along with Rob Jackson, of BoomerangNYC the on-demand dry cleaning and laundry pickup service recently launched in the West Village and Soho area. 1. Having just participated in TechStyle NYC during NYFW, tell us briefly about your experience and any memorable moments. (Gregg Klein) TechStyle was a great way to access a new market segment for Boomerang - the fashion, and fashion blogging space. It is not often that you experience so much excitement about your business in one afternoon - or at least excitement about free garment bags. The most memorable moment was speaking with an editor from Vogue about how Boomerang was going to transform the industry. 2. How has this NYC-based event served you in your overall marketing initiatives? (GK) Boomerang has been mentioned in a handful of blogs since the TechStyle event. It is hard to directly quantify this impact, but we feel that being mentioned in a variety of blog spaces will lead to greater brand awareness and eventually more customers. At a minimum, we've got some great pictures of Rob with the bike. 3. What was a leading catalyst in creating your app/service? (GK) Boomerang was borne out of a clear need to transform the way dry cleaning and laundry works. Not only in allowing customers to use mobile phones to make it easy but also to get the treatment and service they deserve for their loyalty. Few businesses see their customers as consistently as dry cleaners. We think people deserve better in exchange for that loyalty. 4. What's the most important thing you're working on right now, and how are you making it happen? (MK) We are working on building our team to help scale this customer-first culture. We think, over time, our team will be a big differentiator for us in the eyes of our customers. 5. How many hours a week do you spend on work? What about family and/or hobbies? (MK) Does thinking time count? If so, way too many hours. It's hard to detach your mind from work because there are always worries creeping into the mind. Sometimes they're big problems and other times little things like did we forget to pay a phone bill. Either way it's hard to detach so it sometimes feels like I'm working all the time. One of the best hobbies these days is exercise. Helps clear the mind a bit. 6. How has being based in NYC helped your company? (MK) We didn't have much of a choice because it's home for us and it's where our customers live. However, tons of companies are popping up and lots of people seem eager to meet other founders so we've met a ton of people over the past bunch of months just because we are based here in New York. 7. What is one of your favorite trends (in tech or fashion tech)? (MK) I think the best trends are the ones truly improving lives for many. It's easy to get angry with companies like Uber for ruining the lives of taxi medallion owners but so many uber drivers are thrilled to have flexibility in their life, quick payment for their work, etc. Let alone all the customers who are immensely satisfied with their service. When you win on both fronts like that I think it's really remarkable.